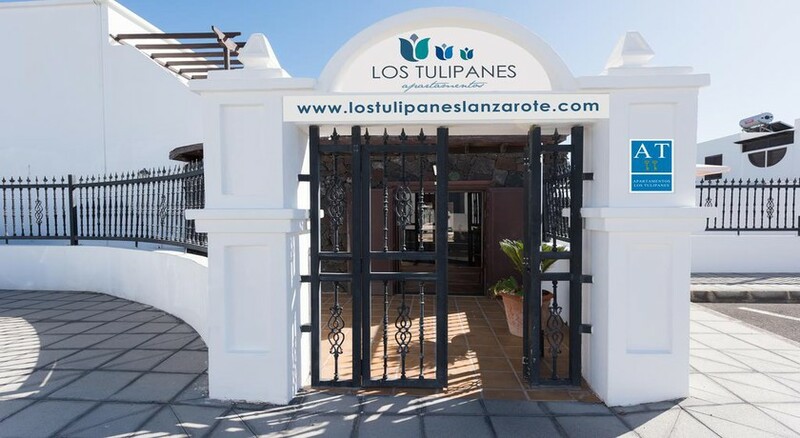 The Los Tulipanes Apartment Complex are ideally located near the heart of Puerto del Carmen (Lanzarote) only 500 m from the beach, shops, bars and restaurants on the sunny island of Lanzarote (and is situated close to the Golf course). This charming property is excellent for couples and families with 37 attractive apartments surrounded by tranquil gardens surrounding a sparking swimming pool. Los Tulipanes Apartment Complex provides an excellent base for those wanting everything close at hand including shops, restaurants, bars and water sports. Lanzarote Airport (ACE) is 10 kms from the hotel. 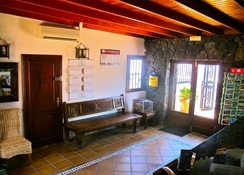 Local Tips: The complex is only 15 minutes drive from Arrecife, the capital of the island. 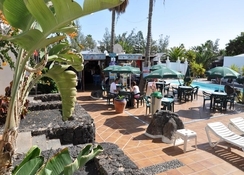 This hotel is a convenient place from which to explore Lanzarote's tourist and cultural attractions. 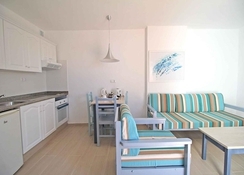 Food, drink and entertainment: Self catering apartments with an option for bed and breakfast. The snack bar serves delicious refreshments and light meals throughout the day and there is an onsite BBQ. Sports, games and activities: Two large swimming pools, one is heated in winter, sun terrace with sun beds and parasols, children's pool, pool table, and Karaoke. Additional: Reception with limited hours, money exchange service, self service laundry. As reception is not open 24 hours, it is essential that arrival time is indicated in the special requests box at the time of booking. 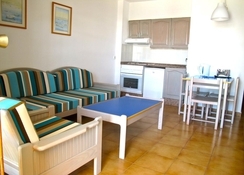 The Los Tulipanes Apartment Complex features 37 comfortable and well-equipped apartments. Each apartment has a lounge and dining area, sofa bed, bathroom with bath and shower, fully equipped kitchen (toaster, coffee maker, kettle, oven or mircowave, hob, and fridge), Satellite TV, music, telephone, safety deposit box and balcony or terrace. Maid service is five times a week, bed linen change is twice a week, and towel change is three times a week. Room configurations include studios for up to 2 persons, one bedroom for 3 people, one bedroom for 4 people, and 2 bedroom apartments for up to 5 persons.